I read recently that three quarters of children spend less time outdoors than prison inmates. It made me really sad to hear because my own childhood is filled with happy memories of playing outside. The endless walks my mother took me on rain or shine, the bug club I had with my next door neighbour and making mud pies in our back garden. I spent so much time in the fresh air and I really think it did me the world of good. As an adult though I spend most of my time inside, and as a result Zach does too. Sure we go on walks to the shops, the odd trip to the park, and even occasionally we can be found at a national trust site, but for the most part we spend our time playing inside. It's become our go to, and is a habit I really want to get out of. My usual excuse is the weather, which is pretty easy as it's been rubbish for as long as I can remember. Although it's not really a viable one because we could dress up warm and pop on our rain coats and we'd be good to go. So that's my plan from now on really, because I don't want my cheeky toddler to miss out on all the fun I had outside. Plus, more time spent outside means less mess inside and I think it will wear him out too which is always a good thing in my books! 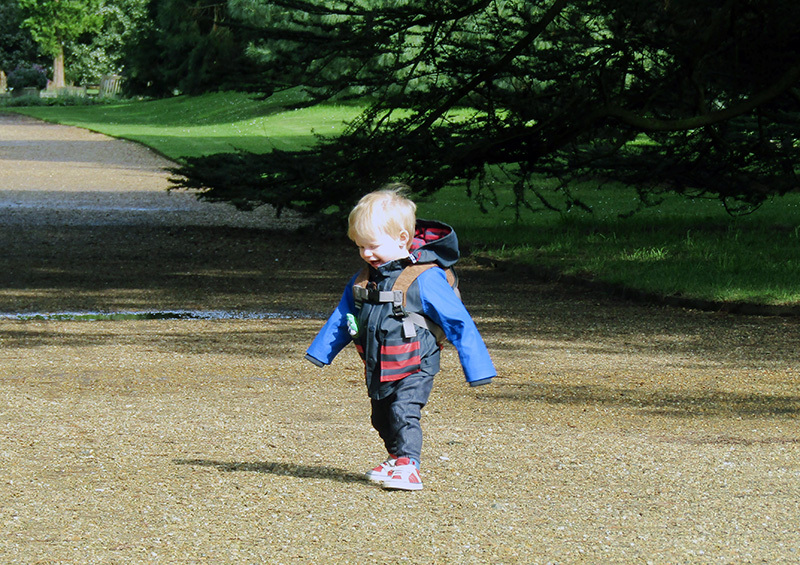 Please leave me some inspiration in the comments for where to take Zach, and do share your favourite places to take your little one!